Iran’s Deputy Foreign Minister for Arab and African Affairs Hossein Jaberi Ansari says the forthcoming Syria peace talks in the Kazakh capital of Astana are aimed at finding possible ways to establish sustainable peace in the conflict-stricken state and put an end to its nearly six-year crisis. The two-day talks, mediated by Iran, Russia, and Turkey, are to involve the representatives of the Syrian government and opposition to discuss a potential solution to the conflict in Syria. The negotiations will start on Monday. The negotiations exclude the ISIS and Jabhat Fateh al-Sham Takfiri terrorist groups, Press TV reported. “The continuation of the Syrian crisis will have no result but the killing [of people] and the destruction of a Muslim country,” he added. He expressed hope that the Astana talks will be a watershed in resolving the Syrian conflict. The Astana talks will be addressing issues such as the further stabilization of the all-Syria ceasefire, effective confrontation with terrorism, and intra-Syrian dialog toward the achievement of a political solution to the crisis. The Iranian delegation held separate meetings with the Russian and Turkish teams there on Saturday. The Iranian and Turkish delegations, led by deputy foreign ministers of the two countries, held talks at Astana’s Marriott Hotel on Saturday, according to IRIB. The unofficial bilateral talks followed a same meeting between Iranian and Russian diplomats. The peace negotiations between the Syrian government and the opposition will be held on January 23 and 24. 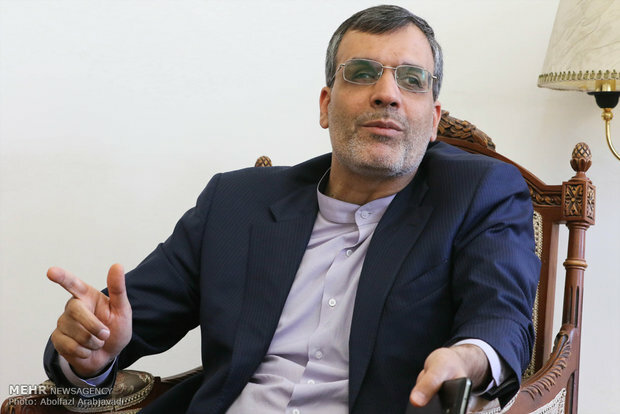 Jaberi Ansari has announced that Tehran will pursue a four-point plan that it had put forward earlier, entailing preservation of Syria’s territorial integrity, Tasnim reported. The proposal includes plans to safeguard Syria’s territorial integrity and national sovereignty and put all issues to the vote of the Syrian people, he noted, saying Iran will pursue the same plan in the Astana talks.